Reviewing the blessings of a wonderful father makes me realize how rich I have been all my life. The benefits have been more than I can count. I am so grateful to my Lord for giving to me such a priceless gift. 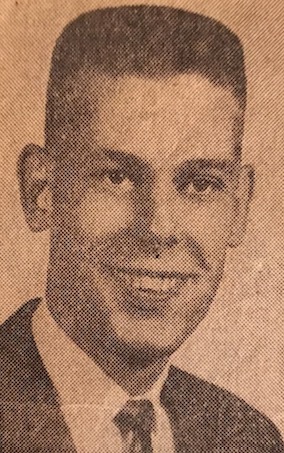 Lee Olin Kirby was raised on a farm in the Bear Creek community near Pinson, Tn. 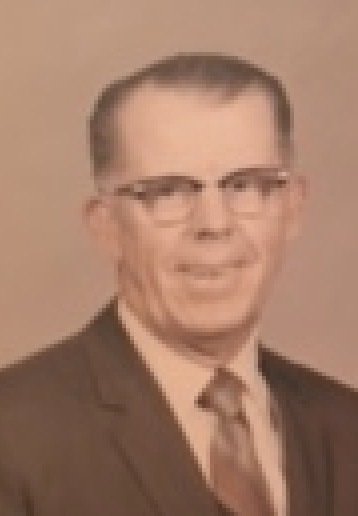 He was blessed with godly parents who taught him Godly principles that were passed down to Diane, my sister, and me. My dad had a heart for God that influenced everything he did. This made a great impact on my life. He had a kind and tender spirit that guided his life. I never once saw him mad or lose his temper when I may have thought he had a reason. This really became a great example for me. My dad loved to sing. He was an excellent bass singer, and sang in the Compton Quartet’s weekly Sunday morning broadcast on WTJS radio out of Jackson. As a young man he was in great demand singing and playing his guitar in concerts around the area. 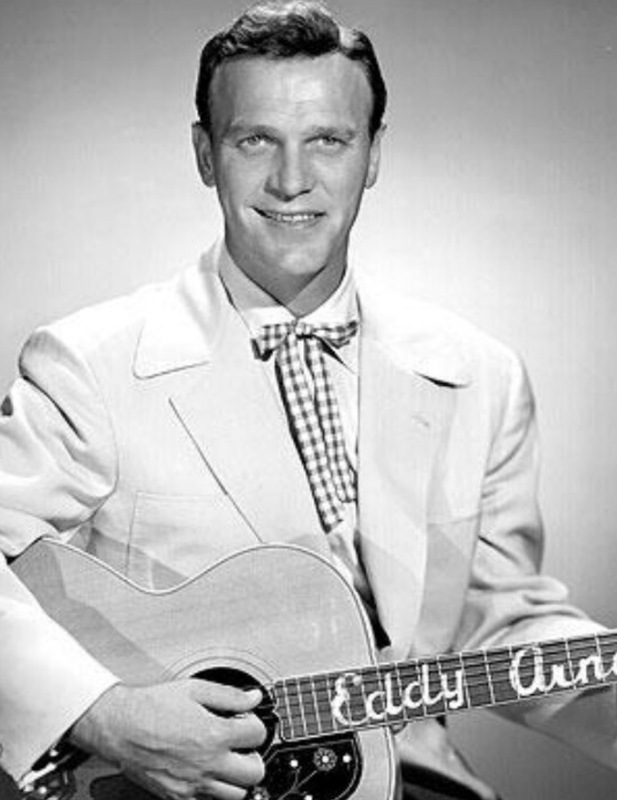 His friend, Eddy Arnold, begged him to teach him how to play the guitar, and the rest is history. Without a doubt in my mind, Dad could have been a Grand Ole Opry star like Eddy, because he had the talent and personality. He could make the guitar talk with his picking, and had no time for those that drummed the instrument. I have often thought what my life would be like if dad had chosen the Grand Ole Opry route. 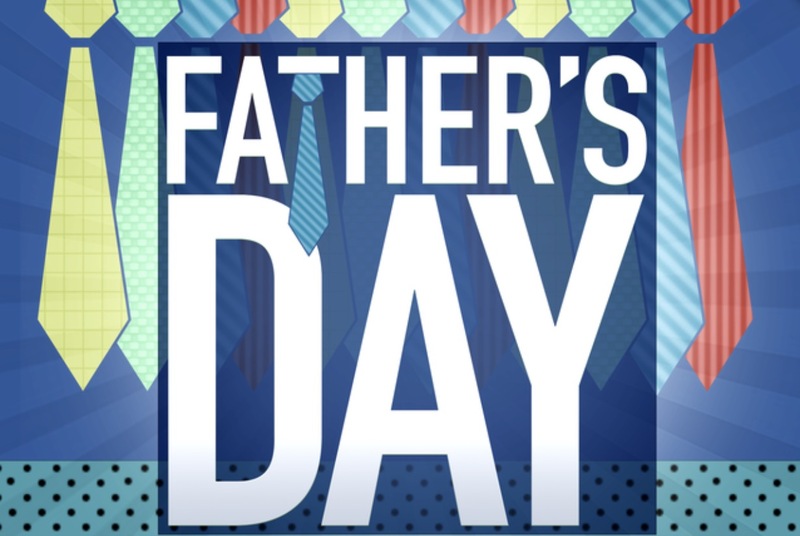 At this special time of the year to honor fathers, I challenge every dad to be a man and father after the heart of our heavenly Father. It is an honor to be a father! Thursday, June 7, was a day I had to fight temptation as a powerful foe. I had placed myself in that position many other times through the years. Every other time I had given in and yielded. However, on this day I had told Bess I was not going to yield, but resist the strong urge to give in. 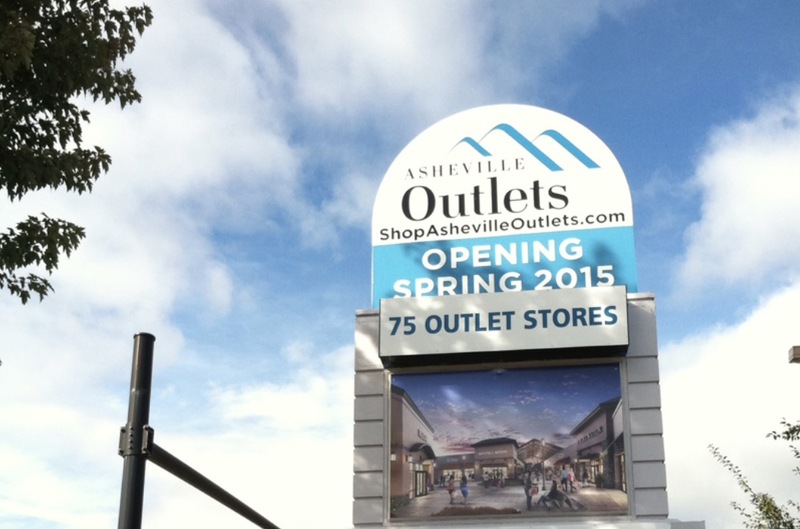 It all happened once again in Ashville, North Carolina. It was a magnificent day when Bess and I had decided to drive the one- hour trip through the beautiful peaks and valleys of the Smokeys. 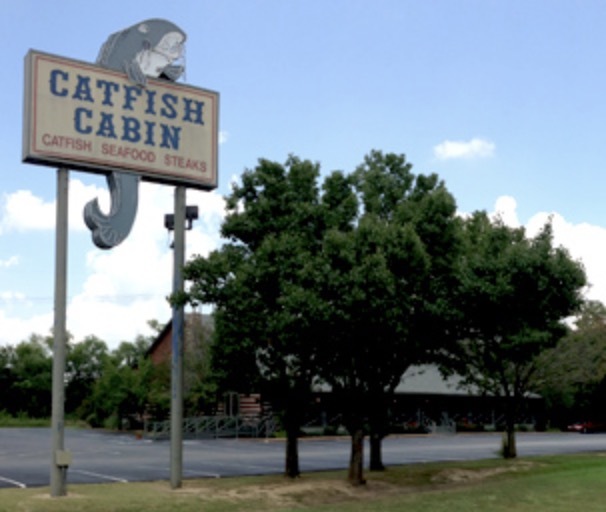 We planned to head to one of our favorite restaurants (Harbor Inn, Ashville) in the mountains to enjoy the best catfish found anywhere at an amazing price, along with the best sweet tea in America, that is, next to Bess’s. After we finished eating, we drove over to the Ashville Outlet Mall close by, where I was attacked with another powerful force of temptation just like all the others that had happened to me through the years. As a matter of fact, it started when I walked through the door of Dilliards Department Store. 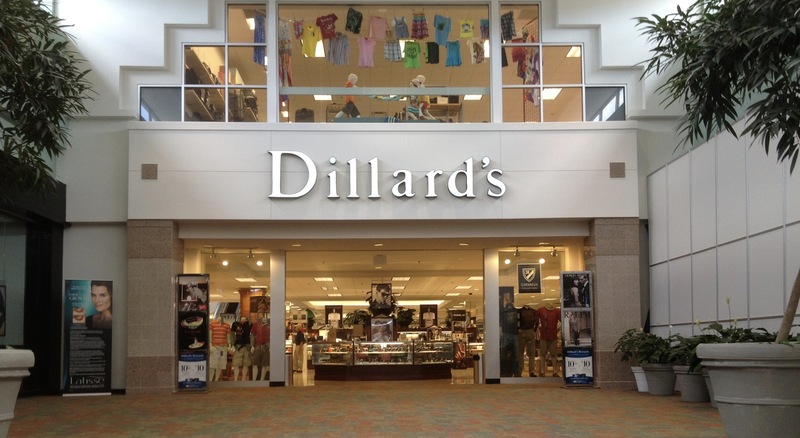 Through the 15 or more years I have gone to this Dilliards, which stocks inventories from Dilliard's stores across the southeast, I have found the most incredible deals in shoes and clothing I have found anywhere. Once again I started reading the signs from the huge stock of men’s clothing. They read, 65% off of the original price, along with another 40% off. Just like before, I saw expensive shirts marked down to $4.95 and expensive pants priced at an amazing price of $10.00. The urge and the attack were very strong once again, but I did not yield to the temptation! On our journey back to our cabin I was rejoicing because this time I had defeated the powerful force of temptation. Let me set the record strait, buying expensive shirts, pants, suits and sport coats at an unbelievable price is not a sin. However, yielding to a temptation of Satan to disobey God’s Holy Word absolutely is. 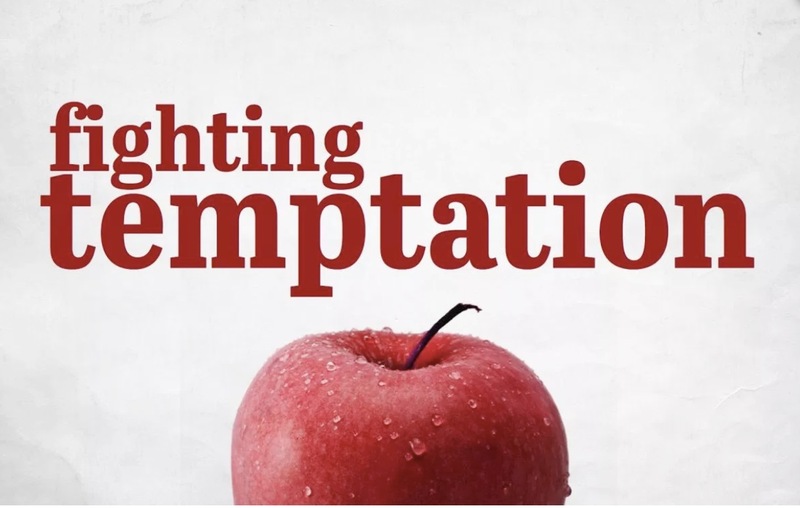 The Bible says, “Yield not to temptation.” Just think what would happen in our world today if everyone attacked with the powerful force of temptations from Satan would refuse to yield. It really would be world-changing! GOING TO CHURCH IS FUN! The Sunday before on May 20, Bess and I worshipped for the first time at Restoration Fellowship Church in Lakeland. It was a thrill to see so many of our friends and to sit under the ministry of our favorite worship leader, Darrel Gash, once again. No music leader can do it like Darrel. He prepared the congregation for me to open God’s Word just like he always did when we were together at Lake Gibson. It was easy to preach with such a beautiful, sweet and unified spirit to people that love Bess and me. The climax to the service was thrilling with several people responding to the invitation. Bess and I were amazed with the beautiful Kathleen High School auditorium. It really makes a beautiful worship center with 500 theater seats. Andrew Gash is a teacher at this school. Because of his respect from the principal, administration and county school board, Andrew was able to secure the auditorim for the very first worship service on May 6, and to use it as a church worship center in a last minute decision. Approval for this to happen usually takes several weeks, following application and county procedures. It is obvious it all happened through the providence of God! On Mother’s Day Bess and I enjoyed a revival service at Newport Nazarene Church. Our friend, J.D. Bailey, was the evangelist, with a song evangelist couple from North Carolina we had never heard. It was an outstanding service with wonderful worship! 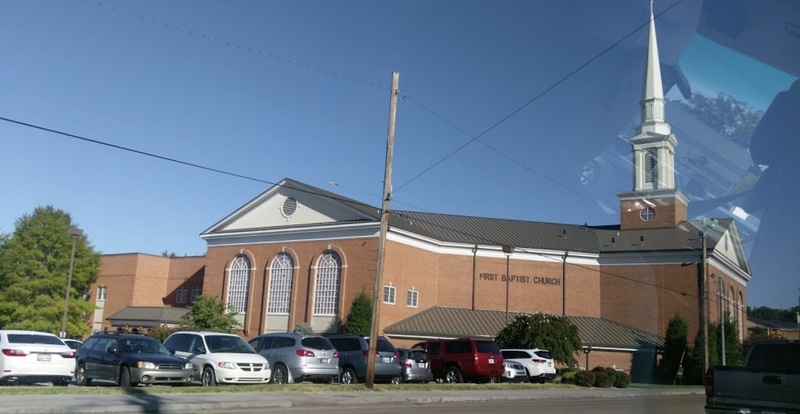 This Sunday, June 3rd, Bess and I plan to worship at First Baptist Church in Sevierville. Pastor Dan Spencer, worship leader Scott, along with the choir, do a great job in ministry. We just might see some of the Triumphant Quartet gang like we have done from time to time. That is always fun! THEY TOOK THE CROSS DOWN! When Bess and I arrived at our Tennessee mountain home we were shocked to discover they had taken the cross down. This cross had been there for a long time, and had greeted thousands of travelers as they traveled toward Gatlinburg, with the words “Risen Savior.” It was no easy task to remove the cross. It was made of concrete and rested on a concrete base, the last remains of the cross. We passed back by later and watched them bulldoze the base and move it away. It was a sad sight for Bess and me. In blog 22 Bess wrote about three crosses, that included this cross, that led to our cabins. Just like she wrote in her blog, the way of the cross really does lead home! The song writer was inspired to write these words. Ladies and gentlemen, it is a fact. The only way for all of us to get to heaven is by way of the cross. I am positive the day will come when the people responsible for removing the cross on U.S. Highway 321 in Cosby, Tennessee, will one day run to the cross of Jesus, if they haven’t already, and plead for the mercy of almighty God. I really do hope they will not be to late to make it to heaven. On Sunday morning May 20, Bess and I had an incredible experience. 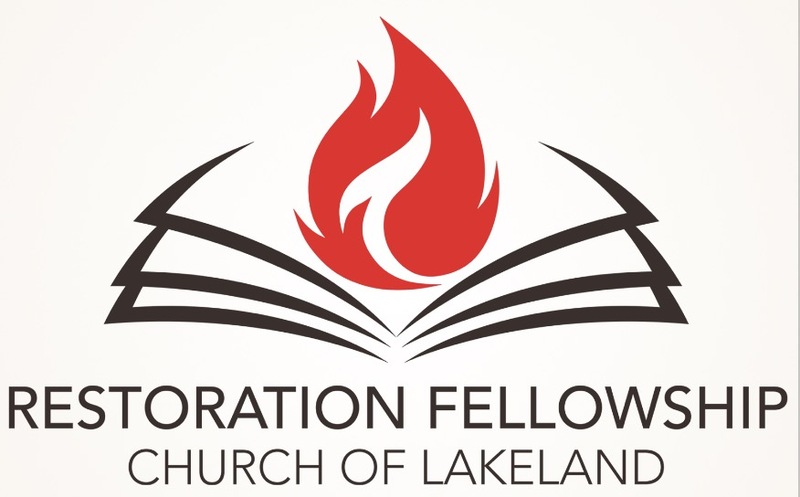 I was invited to preach at the new Restoration Fellowship Church of Lakeland. I was amazed with the outstanding crowd, on the third Sunday of the existence of this brand new church, in a beautiful 500 seat high school auditorium. There were 1,100 views of the video on Facebook in the week following the service. I will write more about it in my blog next week. I just had a great work out in my fitness center here in the mountains. On a clear crisp morning I have been reviewing my work facing the incredible majestic mountains. Mowing grass on three sloping hills is not an easy task, but it sure makes a difference. I must say my inspection tells me I did a good job. Everything is beautiful, but it will not last long. The process will have to be repeated soon because this red clay mountain soil is a fast producer. It really is helping me to be physically fit, so I am not complaining. The second division in my fitness center is the challenge to be spiritually fit. Since I do not have to prepare sermons every week after retiring, it is easy to let spiritual cobwebs entangle my life. The schedule and demands of the pastoral life are behind me. My mind is now clear to focus more on being spiritually fit. Prayer is my avenue to a deeper spiritual life. I am trying to discipline myself to communicate more with my Lord in my surroundings here in these mountains...walking down the lane, cutting limbs (not climbing trees), mowing grass, pulling weeds and sitting on the deck enjoying the fabulous view. 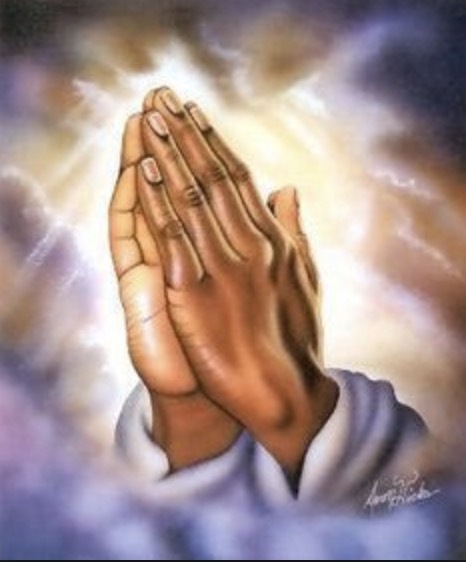 “Pray without ceasing” is a practice from God’s Word I am using now more than ever. I know it is the key to keeping spiritually fit. 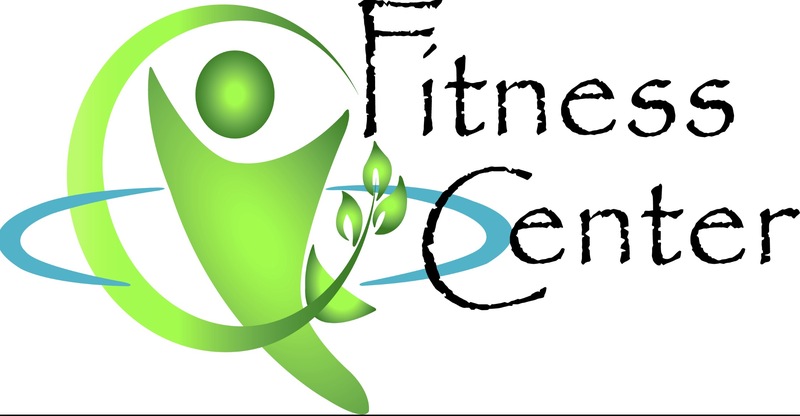 What about your fitness center? I challenge you to make sure you are spiritually fit in these last days. Remember our Lord’s command to “Seek first the kingdom of God and His righteousness and all other things will be added.” I still believe I will be alive when my Lord returns for His Church! It remains a fact, the best is yet to come! Blog # 58 May 12, 2018. I am looking out the window of motherhood as we honor all mothers at this time of year. My mind has stored up within it the sweetest memories of a Christian mother; Her kiss soothed away more pain than all the soothing syrup she ever administered; Her smile had the sparkle of a thousand dew drops; her face the radiance of hundreds of orchestras; her apron string was a golden cord flung out from the throne of God to anchor my sister, Diane and me to lives of truth and virtue. As I am looking out the window of motherhood I see a sanctuary of memories. My mother believed in me and prayed that God would heal me of a stuttering stammering tongue. She told me that God would heal me at His appointed time. At 18 God answered her prayer. Looking out the window of motherhood I see a repository of conscience. It is very true, mothers are the conscience of the world for good or for evil. To be a real mother is to achieve the highest degree. More worthwhile is the love-lighted home than the fickle of floodlights with the vanity and empty praise of the world. My mother’s lap was a throne of power. I am reminded of a statue in Venice of a young mother with her child on her knee and the inscription, “A woman is a queen when her realm is her lap.” We have heard it said, “The hand that rocks the cradle, rules the world; the hand that wrecks the cradle, rocks the world.” As I am remembering my mother, her knee was my first sanctuary where my soul was set in the mold of a blessed destiny. Her godly influence lives on in my daily life. What a heritage I have as I review the anchor of Christian motherhood! 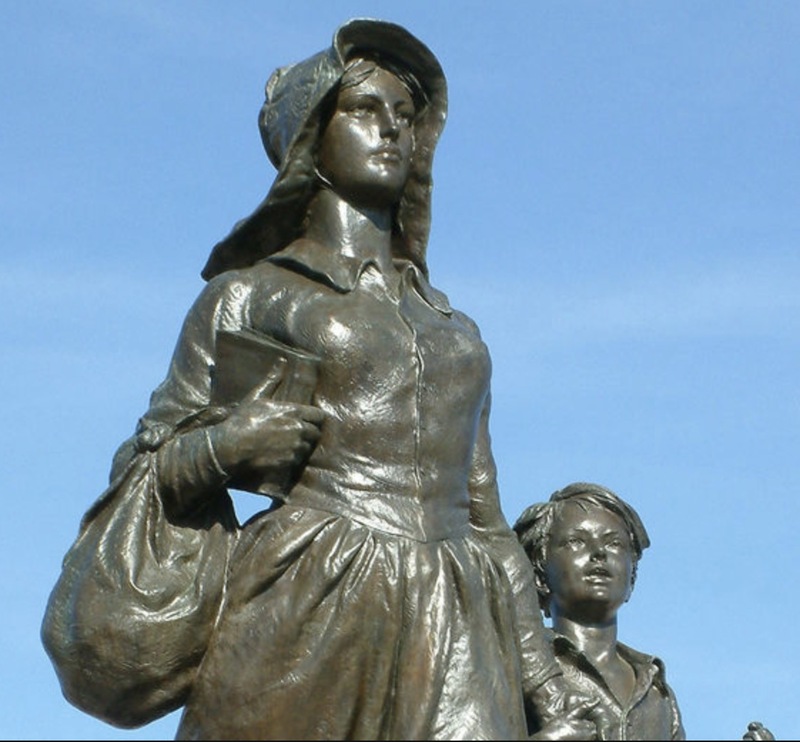 In Ponca City, Oklahoma is the artist’s conception of the Pioneer Woman of the West. A Bible is firmly held to her breast with her right hand, and with her left hand she holds the hand of a boy, while she gazes steadfastly into the future, a symbol of the motherhood that makes men, safeguards the home, builds the Church and makes secure Christian civilization. I wish for every mother God’s very best. Just remember this, you are very special! I LOVE THE SMOKY MOUNTAIN AIR! 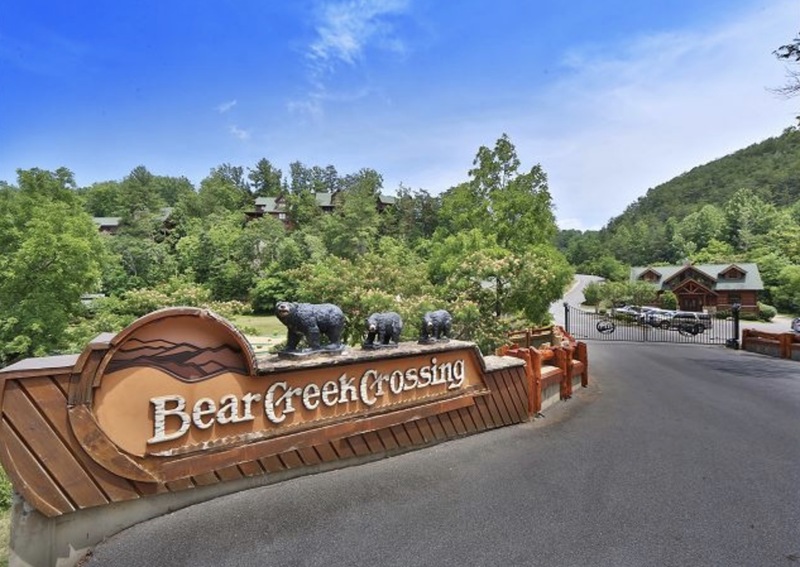 It really is great to be at our wonderful Smoky Mountain cabins! 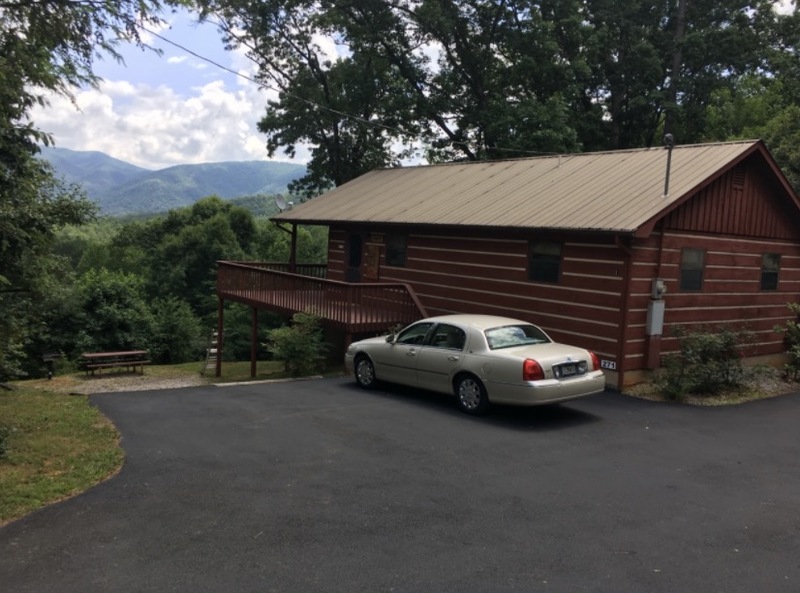 Twelve years ago our Lord gave us a great blessing by making it possible for us to purchase our two cabins in a fabulous location up Majestic View Way. What an incredible private setting with majestic mountain views surrounded by a quiet peaceful atmosphere that is almost impossible to beat. One of the first things we did after our arrival was to help our ministerial friend, Gene King, celebrate his 80th birthday at the Chop House. We studied together at the same college and pastored together in Virginia. He and his wife, Peggy, live close by in the ancient town of Dandridge. 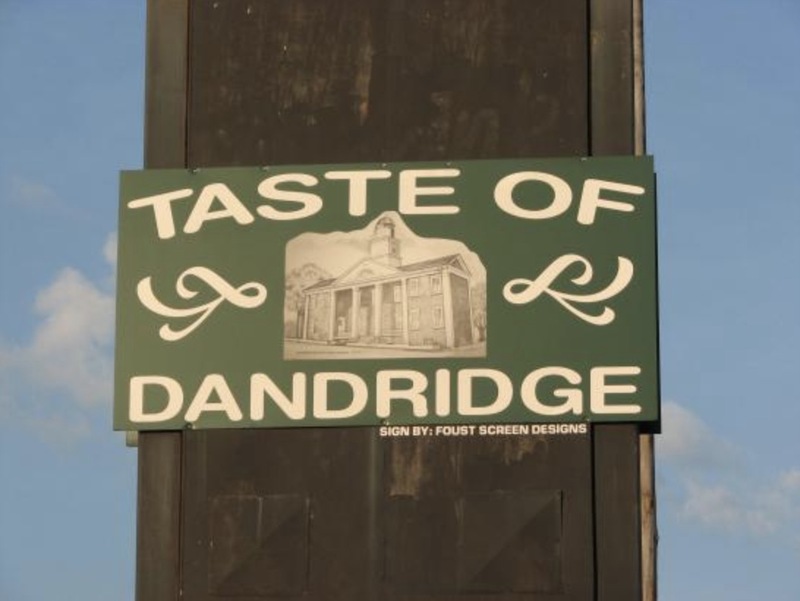 We often meet them for the best catfish in the area at the Taste of Dandridge restaurant. As we look at our cabin rental books we are so blessed. We are ahead of last year at this same time in bookings. However, we do have some choice dates open. Now is the time to lock in dates. It is always great to have friends to book the Snuggled-in cabin next door to our Stargazer cabin. We really enjoy good times of fellowship together in the mountains. It was a delight to preach this past Sunday at the Nazarene Church in Newport, 10 miles from our cabins. It is a church on the rebound from a major decline. The pastor and wife are about 40 and working to resurrect the church. The pastor wants to meet with me to talk about the future. I am praying about where I might be involved to help the church experience a new day. 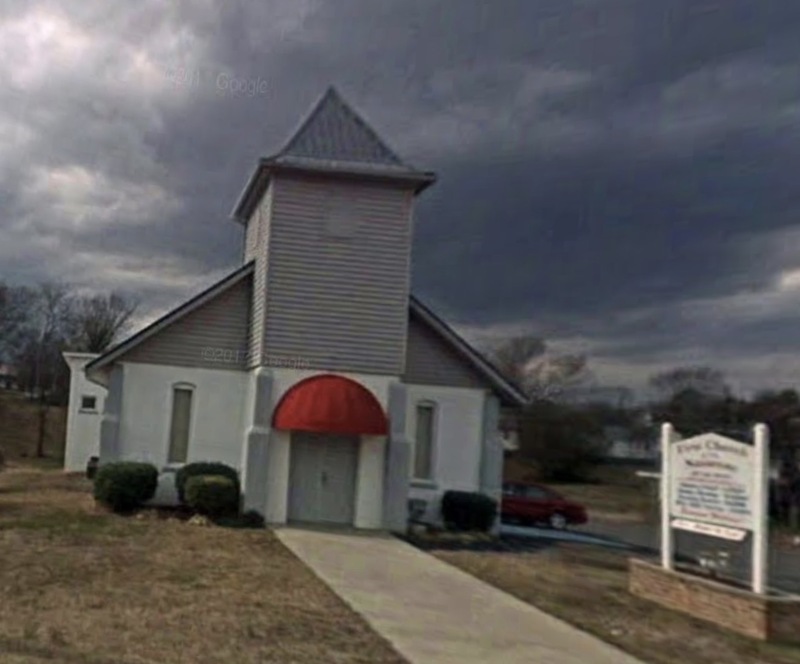 They have a nice building that is well kept with an impressive worship center. Please help me in praying about my involvement with the church. Enjoying the blessings of my Lord! Blog # 56 APRIL 28, 2018. I ended my last blog telling about the tobacco chewing new pastor of Pleasant Springs Methodist Church. When my mother came to see what was happening with her own eyes, that began the search for a new church by my parents. Someone told them about the Nazarene Church in Jackson with the same doctrine as the Methodist church. I was seven when we became Nazarenes. After my dad sold the old Kirby farm place on Bear Creek to the Cherry family in Henderson, my parents had a short-term rental in the small town of Pinson. It was just across a little lane from the Pinson Elementary School where I went to the first grade. The school didn’t have public rest rooms, only a path to outhouses. I refused to use them because older boys would stick the heads of smaller boys down the holes in the outhouse. I would go home with my pants loaded. Of course this made my mother very unhappy. My folks bought a wonderful place with 10 beautiful acres with a producing orchard, barn and pasture in Malesus, about 10 miles from Jackson. It was one of my favorite places. I went to the 3rd through 5th grades here. This is where I began to preach in the barn to the horses and cows in make-believe church services with my cousin, Nona Faye, playing a make-believe piano. I was heart sick what has happened to that property after 71 years. The house looks terrible. The barn and orchard are gone, along with the garage and a huge oak tree under which I played. Nona Faye, my cousin, said she cried when she went by and saw it. The area is totally run down. We drove by the brick house my dad built on a large lot at the edge of Malesus on Highway 18. I was shocked to see that it looked much smaller now than it did when we lived there in the 1940s. 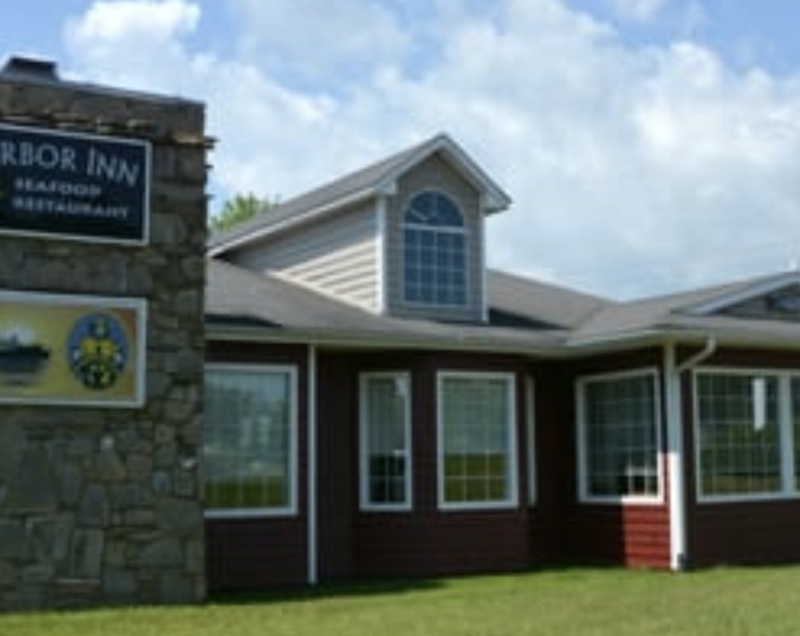 While we lived there my dad built a business center with four buildings in Jackson. That center included a laundry with twenty-five washing machines with dryers, the first in Jackson. It was the vision and dream of my mother. Only two of those buildings remain today, and the area is in great decline. I was shocked to see what our home on Wisteria Drive, at the edge of Jackson, looked like. We lived there when I was in Jackson High School and first two years of college. It was the best looking home on the street when we lived there. Dad always had a wonderful big garden in the back. It was hard for me to locate the street and recognize the house with so much growth and decline of the area. I tried to control my emotions as we turned around in the driveway and drove away. I have so many wonderful memories of that place. Winding up our tour of my roots, we went by the location of the Nazarene Church in Jackson. My dad laid all the blocks in a beautiful building that is no more. Road, street widening and expansion took the building a few years ago. We drove through the downtown area that has totally changed, on our way to the north side of Jackson to Highland Memorial Gardens, where my parents are buried. We had a time of prayer with some friends, standing around the graves of my parents, rejoicing over the upcoming rapture of the Church, when those graves will burst open and give up my parents to join the heavenly bound throng of God’s family. Our day and tour came to a climax at Catfish Cabin at 4:00 p.m. as we joined several of my cousins and friends for a wonderful southern meal and great fellowship. It really was a happy time of reunion! Time really has made a change! Last week was a very exciting and memorable time for me. I went back to my roots. in our old farm house. Even though the house is gone and the area has totally changed with the heels of progress all around, the waters of Bear Creek are still flowing as they did when I was a boy playing in the clean, clear water and crossing the bridge in our old Model A Ford. Back then the road leading to our place was red clay where we would get stuck after a big rain. sank when I saw it had been filled in. 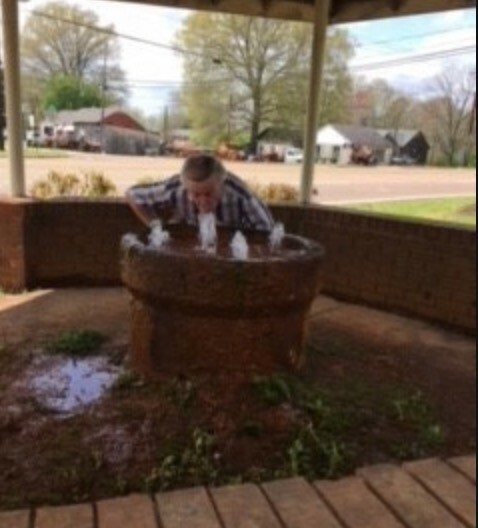 However, I was thrilled and excited to find the old artesian well near by that dates back to my great, great grandparents, was still flowing with four fountains. I first drank from those fountains over 75 years ago. I went back to the two Methodist churches of my childhood, Pleasant Springs and Bear Creek. Precious memories flooded my soul as I remembered my two saintly grandmothers shouting in the center aisle during the August big meeting time as people came forward to kneel at the big c-shaped altar seeking the Lord God. I strolled through the two cemeteries where my grandparents are buried. I was thrilled to discover that both cemeteries are being well cared for, and really looked great. My dad would always make sure all four graves of my grandparents were free from weeds and growth. We tried to cross Bear Creek to the north of the Kirby home place to the home place of my mother. It was sad to discover that the road crossing Bear Creek was closed because the bridge was out and became a dead end. The house of my childhood set on a hill overlooking Bear Creek. It really was a beautiful setting for a productive farming family. As a kid I loved the place and had fun playing in the barn with the horses and cows. I thought of the Sunday the new young pastor of Pleasant Springs came to our house for Sunday dinner. 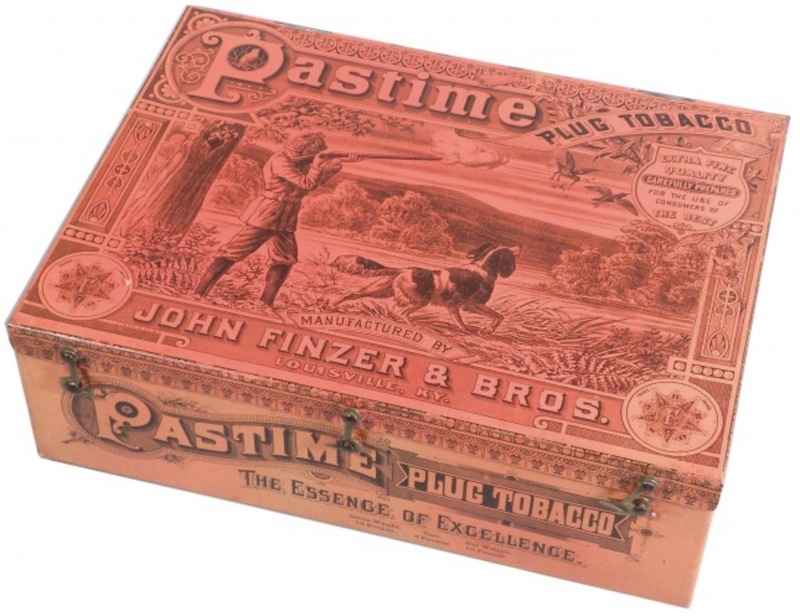 While he and my dad and I were waiting on the front porch for mother to finish preparing the meal, I got madder than a hornet when that “preacher” took a plug of tobacco out of his pocket and began to chew, spitting in our yard. I ran into the house and told my mother what was happening. I will tell you all about it in the next blog. 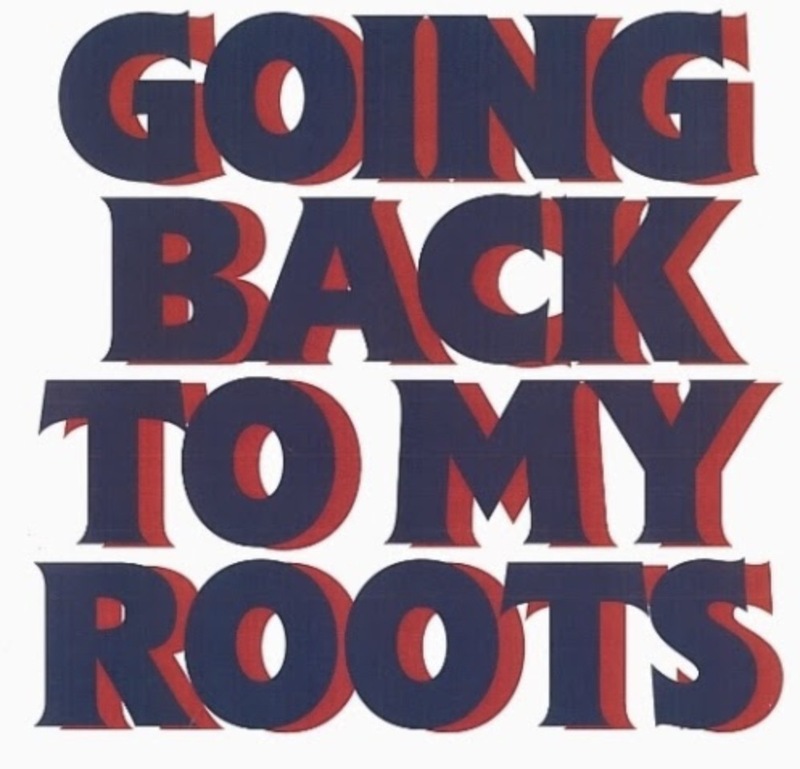 It really is fun to chase your roots! I have never seen a black preacher preaching with their shirt tail hanging out. It is ingrained in them to honor the Lord’s Day and His Church by dressing in their Sunday best. The pulpit area is treated as holy ground to them, and they refuse to desecrate it with their clothing. You will never see an attorney going to a trial, standing before a judge and grand jury, in blue jeans. Every one of them will always be dressed in a coat and tie that honors the dignity of the United States court system. Furthermore, local, state and national judges always wear a robe. The ministry is the highest profession in the land, when, hopefully, a God- called minister of the Gospel proclaims the Word of God. It is my firm conviction that the sacred presentation of God’s Word from the pulpit area of a church should be presented with holy reverence and respect with the proper attire. If a court of law with attorneys and judges wears clothing that magnifies their office, how much more should preachers become good representatives of their calling and position. It is very difficult for me to hear what a preacher is saying when he is dressed in blue jeans with his shirt tail hanging out. I think they show a lack of wisdom and respect for the Gospel and their ministry. I know one young preacher in his 30s that made this statement to the church board that was interviewing him, “I will always wear a coat and tie here because I want all the people to know who the pastor is.” I say a big “Amen” to that preacher. Wouldn’t it be great if other preachers would show the same wisdom and respect for their calling and ministry as this young pastor? 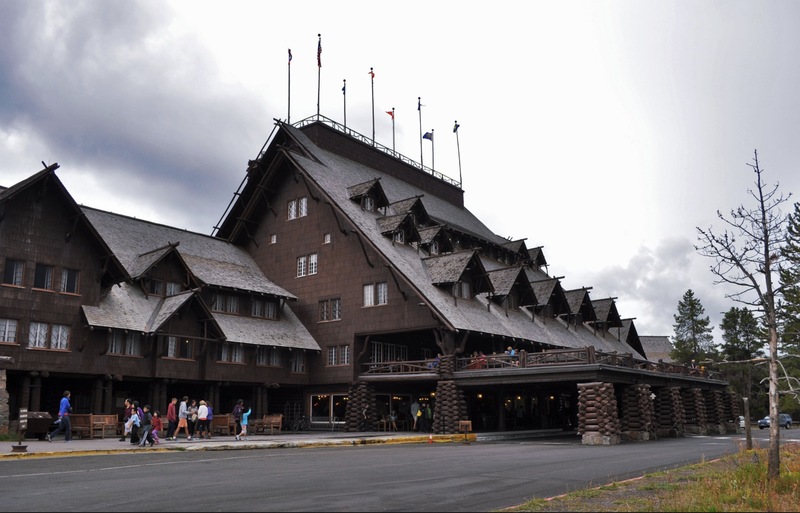 Wyoming, Yellowstone National Park, with two nights at the famous quaint Old Faithful Inn, on to Buffalo Bill country at Cody, Wyoming, Fort Laramie, the Oregon Trail, Mount Rushmore, Wild Bill Hickok country, Custer’s Last stand, the Black Hills and much more. I am getting excited just writing about it because I remember how great it was on our first tour! We already have a good group expressing their interest in this tour. We sure would like to have you join us for an unforgettable experience! We want to keep the number joining us around 25 or 30. We are trying to keep the cost at an affordable price to make it more enjoyable for all of us. We have already been quoted a possible cost under $3,000 per person for 10 nights, and that is our goal, which would be tremendous for this amazing tour! Bess and I will do everything we can to make the tour one you will never forget. There is one thing we know for sure, you will be inspired by the great American heritage that laid the foundation for our great nation! 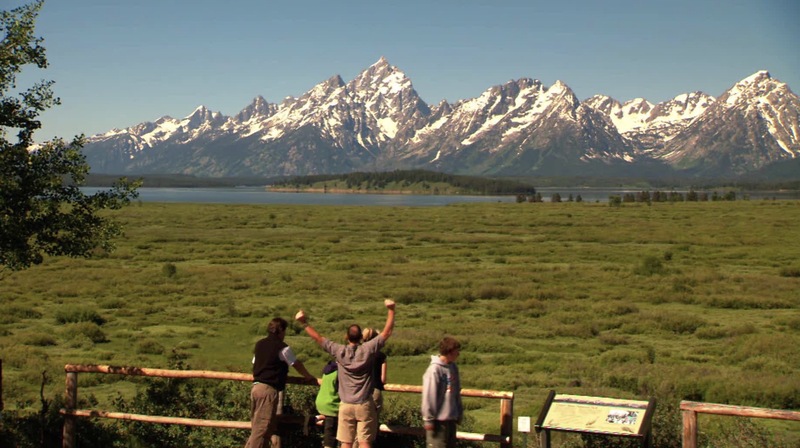 Please let us know if you do have an interest in joining us us for this tour of the Great American West. You can get your name on our list by calling us at 1 800 519-3342 or sending an email at www.ckirby3@tampabay.rr.com Please know there will be no obligation for your expression of interest. It is an unforgettable experience to walk into that tomb that the owner, Joseph of Arimathea, had provided for the burial of Jesus. Every time I have been in there has been overwhelming! Two of those times were extra special for me when two of my friends asked me to go in the tomb with them individually. Both of these men were overcome with the presence of the Risen Christ through the Holy Spirit, when we were in the tomb, and began to weep. Bob and Smitty both asked me to pray with them. I had prayed for Bob to become a Christian for some time when he would come to church, but he would never respond to the invitation. However, through his tears, he came to Christ in the empty tomb! Smitty, in his tears, re-dedicated his life to the risen Christ as I prayed with him. Without a doubt, these two experiences are leaping from my heart as I recall their wonderful memories many years ago! Some of my greatest Sundays as a pastor, happened on Easter. I am thinking of the record crowds in Virginia Beach and people coming to Christ, three rows deep on this glorious day! There were 125 people, by actual count of the ushers, as the Downings kept singing, “I will meet you in the morning, just inside the Eastern Gate over there.” In Lubbock, Texas, at Texas Tech Coliseum, over 3,400 people witnessed over 50 people coming forward to receive the resurrected Christ. Precious memories flood my soul from all the 56 Easters Bess and I have celebrated with tremendous laymen in wonderful churches! It is very true...We Wouldn’t Take Nothing For Our Journey Now! May the resurrected Christ be your strength and power until He comes for all of us that have chosen Him as Lord and Savior! Palm Sunday took on a totally different meaning for me after I experienced the first Palm Sunday walk back in 1969. Since then, I have taken nine more of those incredible walks. It really is a transforming journey if you treat it as a personal worship ministry. It becomes a sacred time of meditation and reflection with our Lord, recalling the time when He took that walk 2,000 years ago. Jesus had a major decision to make at this triumphant event in world history. Two roads were before Him, a high road and a low road. The high road led to an earthly throne and kingdom, while the low road led to a cross and a cruel death. His decision would impact all humanity, including you and me. On Palm Sunday our Lord chose the way of the cross, that would bring eternal salvation to everyone that would receive His sacrifice for sin through His death, burial and resurrection. 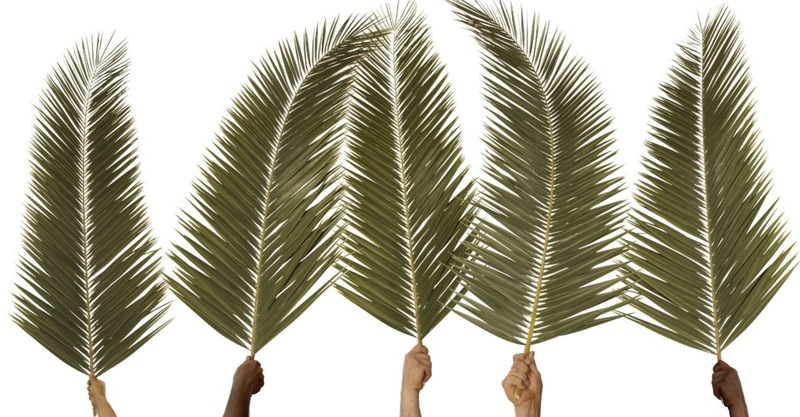 No wonder Palm Sunday is the beginning of Holy Week! Please join me by taking the Palm Sunday walk with our Lord. WHY ARE THEY THE ONLY ONES THAT SING? I have taken what they have said to me with “a grain of salt.” However, I have come to the point of agreeing with a multitude of people. While I was pastoring Lake Gibson Church these people would make their comments to me in notes, usually with an offering, and with e-mails. These came from people that worshipped with us through the internet. Until I started experiencing what they described to me in their communication, I did not understand, nor could I identify with them. It has taken me almost a year to completely understand what they were trying to tell me. I am very sorry that I have come to the place that I now have to agree with them. Real worship should give everyone present in the service the opportunity to be involved in the congregational singing. I have come to discover that is not so in the majority of churches today. As a matter of fact, Bess and I have found that most people attending church today are spectators and not worshippers. Since our retirement, we have attended a great number of churches from all denominations, usually a different one every Sunday, and they are all the same. We can count on one hand, probably three fingers, the exception to our discovery. In our church shopping, or you might want to say, church hopping, only three of these have a choir. Praise teams are now taking the place of choirs. Former choir members tell me, “Since they have disbanded the choir, I have no place to use my God-given talent.” Many of these people are no longer attending church. It has been my sincere belief and ministry philosophy, THE MORE PEOPLE THAT ARE ON THE CHURCH PLATFORM, THE MORE PEOPLE WILL BE IN THE PEWS. Through the years, with few exceptions, I have proven this philosophy to be absolutely true over and over again. Every Sunday I am discovering the only people in worship centers that are really singing and worshipping are the members of the praise teams. Congregations as a whole, just stand without participating, while others just remain seated. The only people that appear to be enjoying worship are members of the praise team. Most all of them sing chorouses I have never heard and repeat them over and over again. It is very rare if a hymn is ever sung. If it does happen, it is amazing how the atmosphere of the service changes as people start singing. Every time this happens, I ask myself and Bess, “Why can’t these people wake up and see what is happening, and the difference in the worship?" 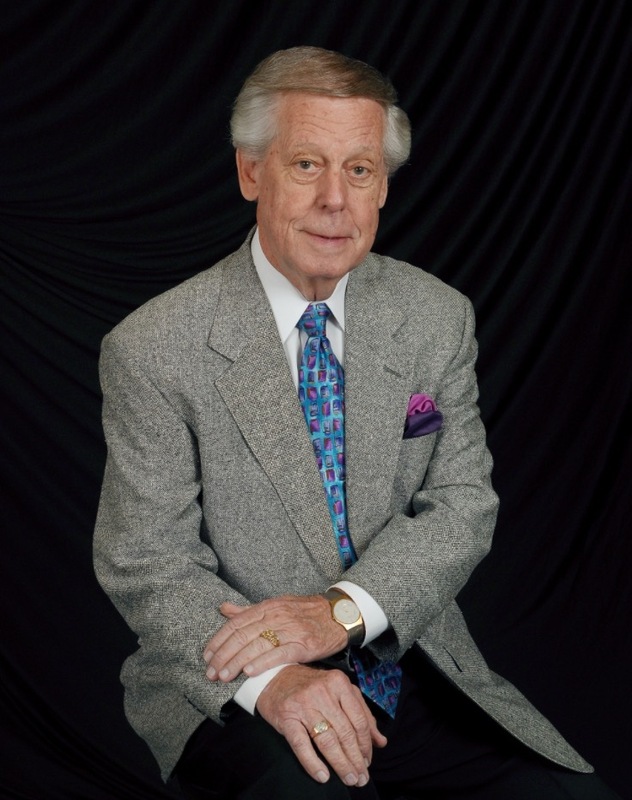 I admire Gerald Wolf of the group Greater Vision for his Hymn Sings he is hosting across America. It really is a great experience to attend these events! The place is alive as the big crowds participate with grateful praise to the Lord God! It reminds me that the words of these great songs were inspired by the Holy Spirit just like the Word of God. It saddens me to admit it, but it is so true, the younger generation of today is really missing out. Most all of them will never learn and know the words of these great hymns of the faith. Dear Lord, please have mercy on your Church in these last days! 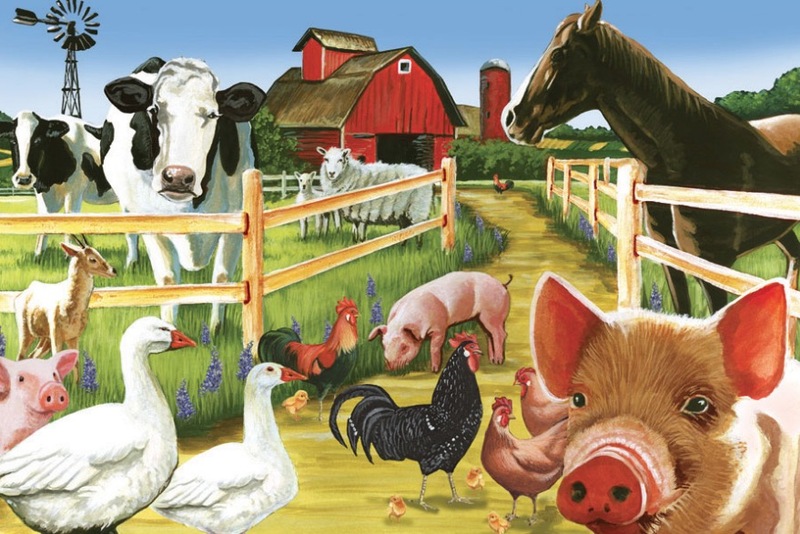 to the cows, horses and chickens, playing church with my cousin Nona Faye, in the barn at our Tennessee country home as a kid in the 3rd grade. Since I retired from the pastoral pulpit, where I preached every Sunday, I have had the opportunity to preach several times. It really has been a joy and a delight to expositionally open the Scriptures, expounding God’s holy Word! 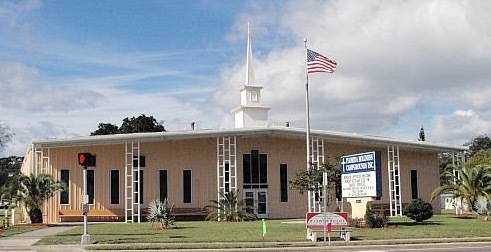 My latest preaching opportunity was on February 28 when I preached at the Florida Holiness campground here in Lakeland that dates back to 1923. It was in a chapel service in the big tabernacle on the heels of the 11 day annual camp meeting. The crowd was thrilling, as many of Bess and my friends came to hear me preach again. “How To Have Peace In Your Storm” from Matthew 14 was the title of my message. The response at the end was tremendous as I challenged people to bring their storm or storms, to the altar and leave them there. It really was a heart-warming experience for me! ​A large number of people from the north spend their winters on the Floridas Holiness Campgrounds. Many of these have attended Lake Gibson Church during my time as pastor. They have become wonderful friends to Bess and me through the years. Their expression of love and appreciation to us is always very encouraging and overwhelming. We love all of them! A preacher friend of mine, a few days ago, said he wanted to talk to me about a special ministry opportunity that might be of interest to me. It is a ministry that ministers to preachers. Since I have preached at preachers conventions through the years, it really caught my attention. There has never been a time when this type of ministry is more important and needed. Hundreds of preachers in these last days are discouraged, depressed and disillusioned. A great number of these are dropping out every day. Please pray that my Lord will give me Divine direction where He may want to use me in this particular time of my ministry. Preaching Really Is A Delight! There have been some great preachers that have made a mark on our world and nation. There was Moody, Finney, Wesley, Calvin, Knox, Whitfield and Spurgeon. All of these made a huge impact on their time and culture. However, Billy Graham has left his mark on the society of our nation and world like no other. Preaching to over 215 million people worldwide through over 250 crusades, he led more people to Christ than any other person in world history. By the way, did you see the hugh number of people lining the roadways and streets as Billy made his final journey from the beautiful Billy Graham Cove outside Ashville on his way to his library in Charlotte? What an incredible sight! No one can begin to imagine what heaven was like on Wednesday, February 21, when Billy arrived to be home at last. 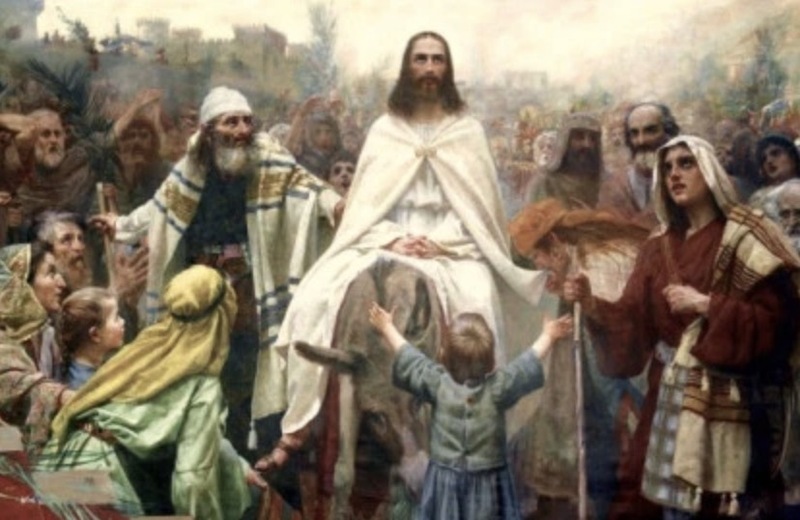 No doubt he was greeted by the multitudes that came to Christ through his preaching. What about the grand welcome he surely received from his Lord? 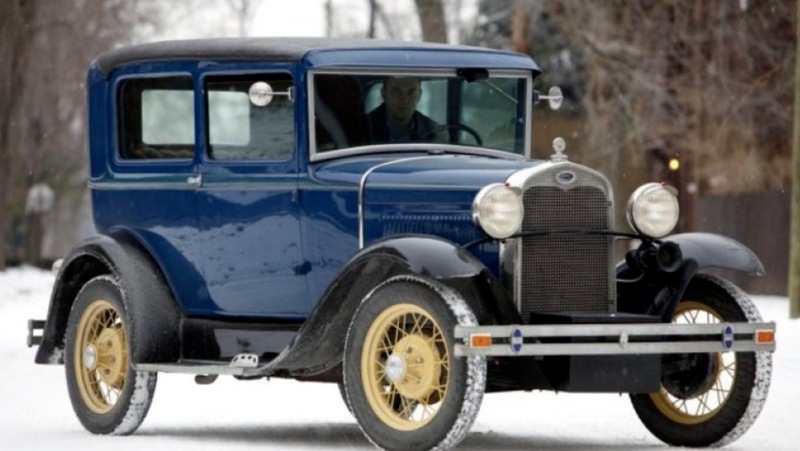 Can you imagine what it was like when his beloved wife, Ruth, met him just inside the gate? It must have been an amazing sight to behold! It had to be a beautiful illustration of the heaven he and I have preached about all of our ministries. 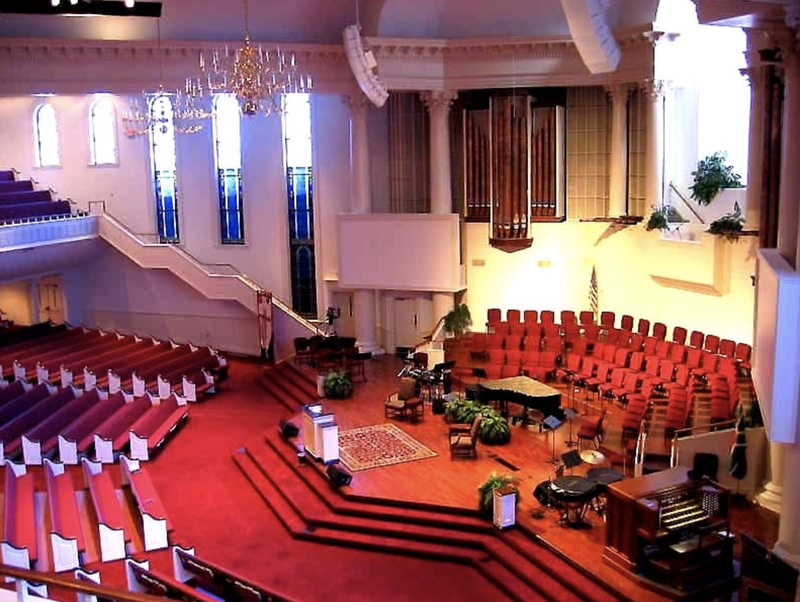 While Bess and I were pastoring the wonderful, historic First Nazarene Church in Lubbock, Texas, I was chosen to serve on the executive committee of the Lubbock Billy Graham Crusade in 1975. It really was one of the highlights of my pastoral ministry. Both Bess and I had the opportunity to meet and talk to Billy and Ruth at a reception given to them by our executive committee. I still cherish those moments we had with those two Godly people. It was an honor to sit on the crusade platform twice during the crusade in the Texas Tech University Jones Stadium with 52,000 in attendance. Some people have told me they have seen me when the Billy Graham crusade classics have aired on televison. 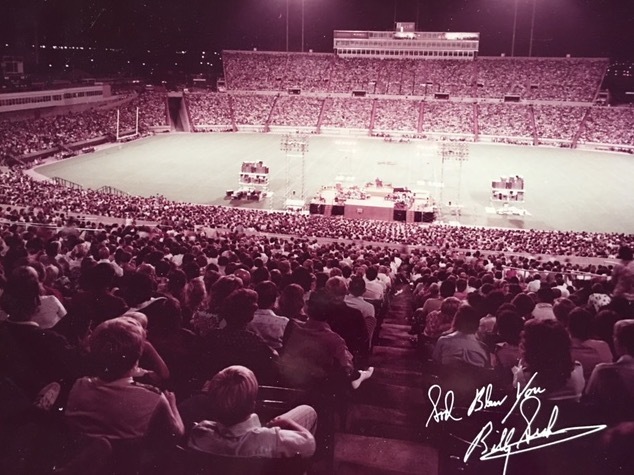 The Billy Graham Evangelistic Association gave each executive committee member a beautiful Billy Graham autographed full color 20X16 inch picture of the 52,000 crowd. I have moved it across America, where we have pastored, for it to hang in all of my church offices and study. 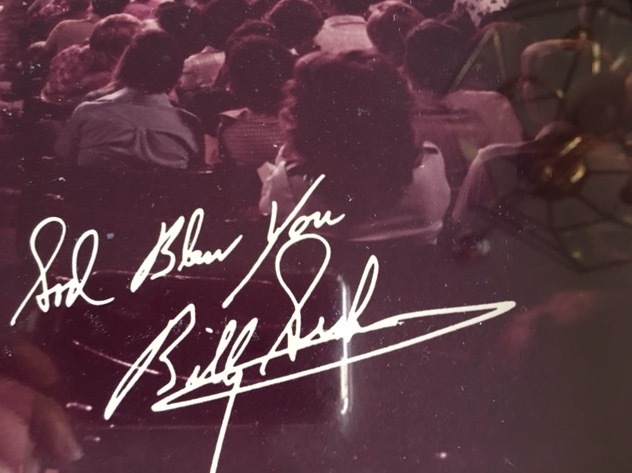 I am so grateful for this priceless gift, now more then ever with the passing of Billy! 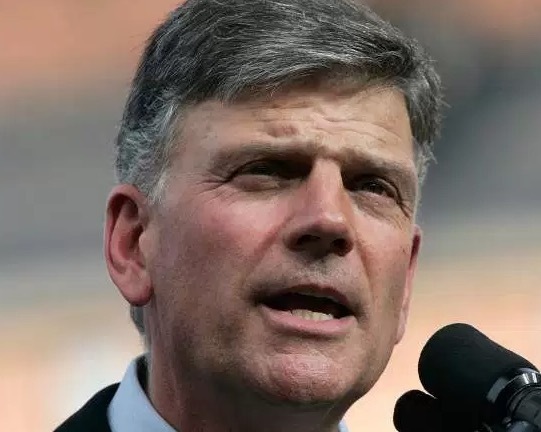 During the Lubbock crusade it was my delight to become friends and acquainted with Franklin Graham. He was assigned by the Graham team, in charge of the crusade, to assist me in the pre-crusade prayer support meetings in various local churches and Bible studies in preparation for the crusade. Franklin was just coming through his period of rebellion and striving to get his spiritual life in order. I will never forget what the crusade director, Mr Huston, said to us about Franklin. He said, “Mr Graham asked that all of you working with Franklin to be as kind and patient with Franklin as you can. He has recently renewed his faith in Christ, and is making wonderful progress. I will really appreciate your understanding and expressions of love to him.” As a loving dad with a son in Monteray High School in Lubbock, trying to find his way, that really made a tremendous impression on me. When I see Franklin today on televison, speaking as the president of the Billy Graham Evangelistic Association, those wonderful memories flood my soul. I am so proud of Franklin, and am very grateful to my Lord for His providence that brought the two of us together in Lubbock. He has picked up the mantle from his father, and is continuing the wonderful heritage passed down to him. 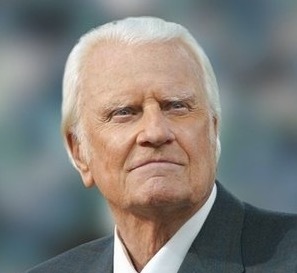 Friday, March 2, our nation and our world honored Evangelist Billy Graham at his celebration of eternal life service at his beautiful library in Charlotte. May the gospel that he proclaimed impact all of us until we see him at our glorious entrance into God’s eternal city! 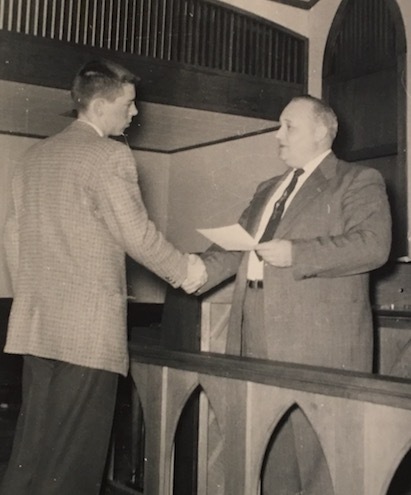 Those that are close to me, as well as many of my friends, know that I am having a challenging time adjusting to retiring from pastoral ministry after 56 years. While it is very true I will always be a preacher of the gospel of my Lord, and will cherish every opportunity I have to preach, I have no plans to be a pastor again. Of course my Lord could change that if He so chooses, and I would obey His call. 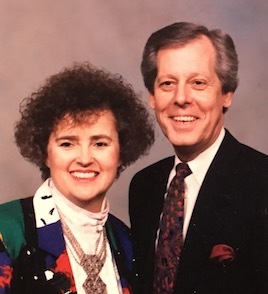 My pastoral ministry has been a romance for Bess and me as we have pastored across America. 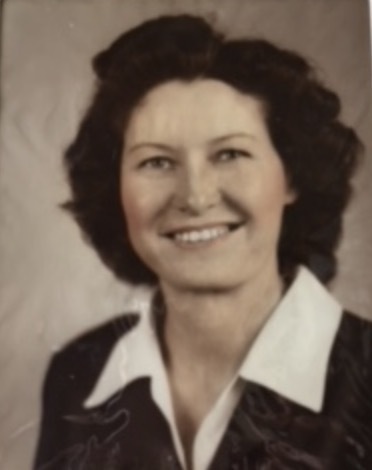 Bess gave up her career as a public school teacher early in our ministry to become a full time pastor’s wife. I am sure you can understand what I am about to say. Our retirement would be much more comfortable had she continued teaching English in high school. However, we have no regrets, because our Lord is supplying all our needs. Everyone that knows Bess will agree that she gave her all to every congregation we have served. As a matter of fact, all of them have said, “Bess is the best pastor’s wife they have known.” Without reservation I have always agreed. As for me, it has always been a thrill to be called “Pastor,” much more than “brother,” or “reverend,” or “doctor” since 1978. I have said all of this to lead up to the main message of this blog. Since our retirement from Lake Gibson Church last spring, last Sunday, February 18 was the most therapeutic Sunday we have experienced. Two wonderful things happened that really encouraged and inspired us. I will try to explain the best I can. Bess and I attended the first of two Sunday morning worship services of the Florida Holiness Camp Meeting here in Lakeland that dates back to 1923. It really was a beautiful experience for both of us. The large crowd in the big tabernacle greeted, received and welcomed us royally. Of course we did not count, but it seemed like dozens, thanking us for our presence there, and our ministry at Lake Gibson through the years. 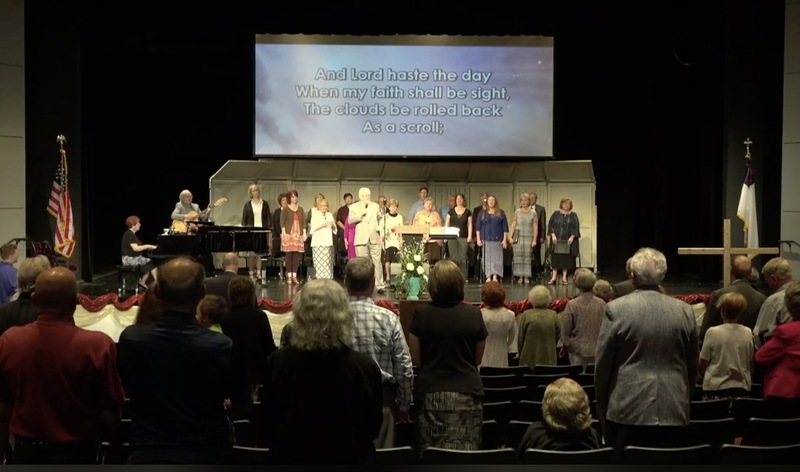 Many of them have attended our services, and graciously let me know how much they miss us and my preaching.When hundreds of them have returned to their homes up north they watch the Lake Gibson services through the internet by live streaming television. Many of them have been regular worshipers at Lake Gibson through this amazing outreach ministry, thanks to Duane Kendall, our webmaster from California. 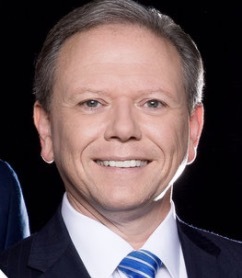 When the president of the camp meeting, Rev. Allison, began the service, he introduced us and had us to stand, calling me a legend in Lakeland. Of course we were overwhelmed with this warm and kind recognition. Sunday evening Bess and I went to see and hear our dear friends, the Collingsworth family at Victory Church here in Lakeland. As we were walking from our car to enter the building, people we did not know started coming to greet us. They told us how much we are missed at Lake Gibson and on the internet live streaming the services Saturdays and Sundays. Even after we entered the building people continued to greet us, expressing their appreciation for our ministry. The trend continued after we entered the worship center waiting for the service to begin. Once again most of these were people we did not know, but knew us from the Lake Gibson services and through the internet. Since there were around 2,000 people in attendance, we had to sit in the balcony, One lady came over to greet us and kissed me on the check. As we were coming down the steps to the big lobby after the service, people saw us and started coming to where we were. A big number of these people were Canadians that watch Lake Gibson services when they are back home. My heart was tremendously warmed as I heard their expressions of love and appreciation for my ministry. Story after story made me very grateful once again for Lake Gibson’s internet ministry and for our webmaster Duane Kendall. One man told me how he was healed when he came to a service with a major back problem. He came to me after the service to ask for my prayers, When I said, “Let me pray for you here,” I placed my thumb on the spot on his back giving him trouble. He said he felt a warm sensation flowing through him and later discovered he was totally healed. He said he was so excited to see me and give his testimony that the back pain has never returned. We rejoiced together. I soon discovered we were fast becoming the only ones left in the building and left rejoicing over an evening to remember. By the way, we never did get to visit with the Collingsworth family. They had already left the building. 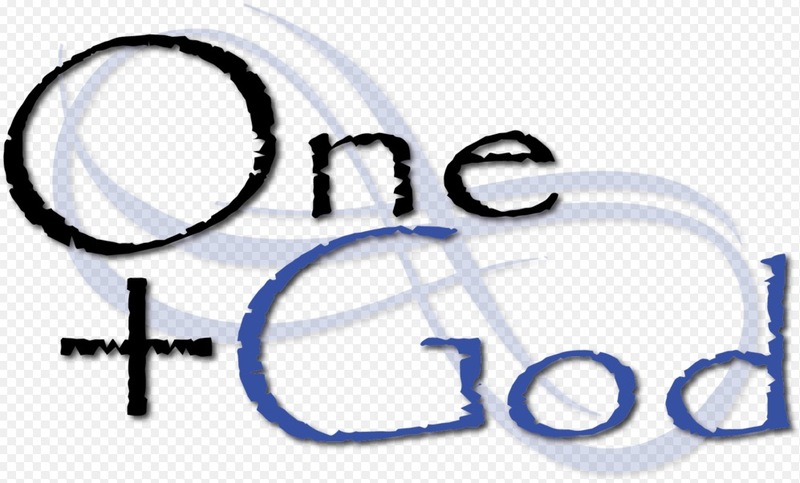 Nowhere in the Word of God can we find a better basis to prove the value of one plus God. 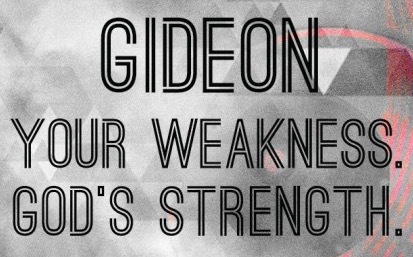 Gideon’s sword plus the sword of God...Gideon plus God...one plus God. What an army! 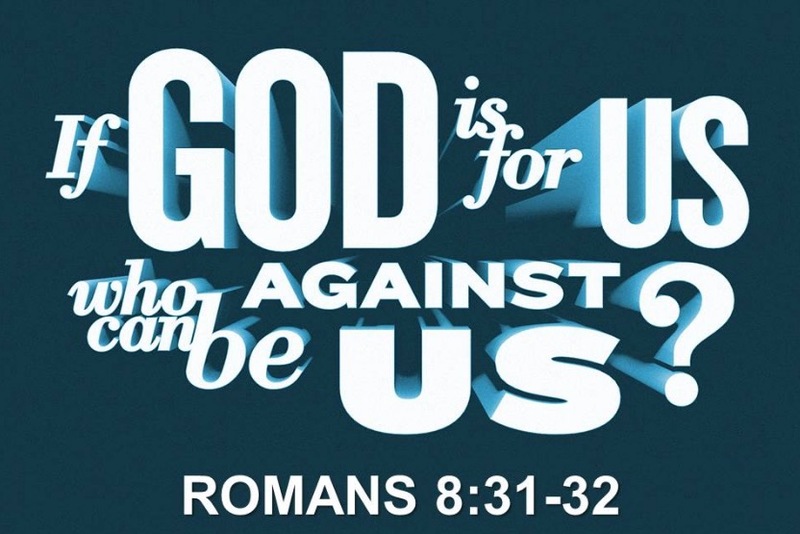 It is just another way of saying, if God be for us, who can be against us! One plus God makes the difference in any situation or circumstance! The value of one is illustrated in the Bible. Noah was just one, but his life was an unmuddied stream in an ocean of iniquity. Joseph was just one, but he brought deliverance to a world in a great famine. 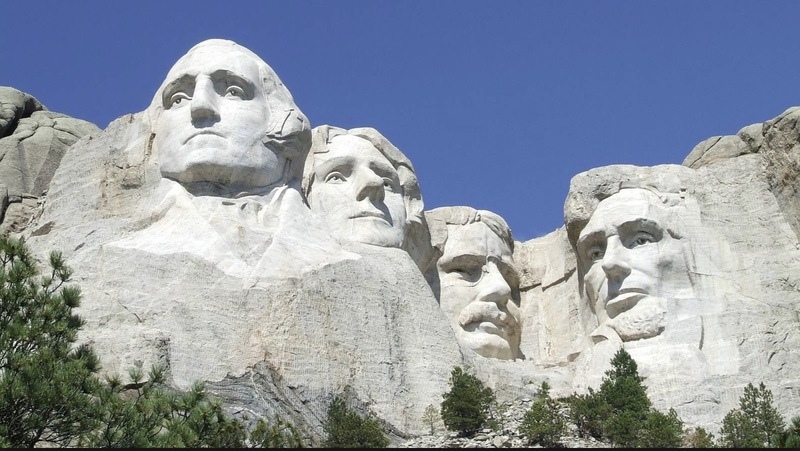 Moses was just one, but with his rod seas divided and a nation was born in one night. Paul was just one, but he rocked the old world with the message of Jesus Christ. It is a fact, one plus God has always made the difference through the centuries of time! Gideon plus God...You plus God. What a team! As an old man walked the beach at dawn, he noticed a young man ahead of him picking up starfish and flinging them into the sea. Finally catching up with the youth, he asked why he was doing this. 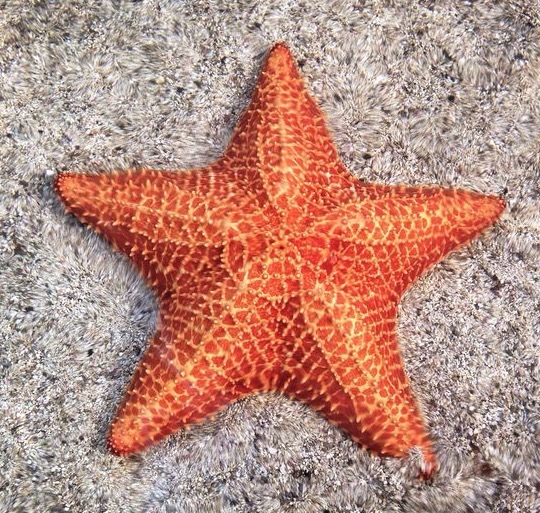 The answer was that the stranded starfish would die if left until the morning sun. “But the beach goes on for miles and there are millions of starfish,” the old man countered. “How can your effort make any difference?” The young man looked at the starfish in his hand and then threw it to safety in the waves. “It makes a difference to this one,” he said. You plus God will always make a difference in your life! You have the opportunity to prove it. ELEVENTH IN THE CONTINUING SERIES ON GREAT LAYMEN AND CHURCHES I HAVE HAD IN MY PASTORAL JOURNEYTHROUGH THE YEARS. 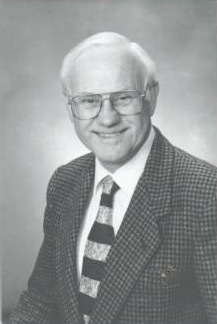 In September of 1998 my wonderful friend and favorite district superintendent, Dr. Gene Fuller, called me to consider and pray about taking the pastorate at Lakeland Lake Gibson Church. After a special meeting with the church board, the Holy Spirit gave me a clear signal to be receptive to a call to become the pastor should the board and congregational vote be acceptable. The vote was very positive and overwhelming. It left me with a major decision. In my time of prayer and struggle to find God’s will for Bess and me, and for the church, the human element entered. I had to face the facts of a church in decline; a major financial challenge; a smaller congregation and a cut in salary. During the decision process, God really impacted me with an unmistakable, powerful mandate to accept the call to become the pastor of Lake Gibson. The first Sunday for Bess and me at Lake Gibson was November 15, 1998. Prior to that beginning Sunday, I had challenged the board and congregation to reach out to former members, former attendees and friends, inviting them to be present for this special event. Bess and I had a lot of friends in the area since we had had a 10 year miracle pastorate in Winter Haven. With my daily weekday radio ministry of “Exciting Life” on WTWB in Auburndale, and the one hour “Sunday Song Time” on WPCV in Lakeland, I was well known. We invited a great number to be present for our first Sunday. As I am now having a “flashback” on that day, I am seeing in my mind’s eye the people coming. It really was a sight to behold! The people came, and kept coming! Bess and I, standing at the East outside entrance to the church, kept greeting. We had over 50 people we had invited to attend this event, and we were off and running! I began preparing for our first Sunday before we moved to Lakeland from Melbourne. Lake Gibson didn’t have a pianist, organist or a worship leader, so I had to recruit. My friend, Bill Hall, along with his pianist, Marlin Nichols, and organist Evelyn Fuller, wife of the district superintendent, came to help us have a good beginning. After that first Sunday, Bill Hall commited to be the worship leader for one year and Marlin is in his 20th year on the piano. Sharon Beeman became the organist on our second Sunday. Recently she has had to give up her ministry due to health challenges. Bess became the leader of a small choir of 10 to 12 since Bill Hall was not a choir person, I have always believed you can’t build a great church without excellent music, and we really did have wonderful music, but a new day was coming when Lake Gibson would become known as Lakeland’s singing church.